With the demonetisation effect the tax collected this year has been increased drastically. This leaves many in good terms of expectations from Union Budget 2018-19. Demonetisation, RERA and GST were really major changes for Indian economical growth in the year 2017. Also, being this an election year, the expectations from Union Budget 2018-19 are no less. The major expectation is it should be a common man as well as business class friendly one. India has jumped 30 places and 53 places in Ease of Doing Business rankings and Ease of Paying Taxes category respectively as per the rankings released by World Bank. Government would like to improve these rankings in the years to come and further policies and measures are expected to be formulated in this direction. Major expectations from Union Budget 2018-19, are change of slab rate by increasing the exemption limits for the employed and senior citizens. This expectation is based on the previous year changes in the tax slabs. To please the masses and to reduce the gap amongst the poor and rich, limit for deduction under Section 80C and Section 80D might be increased say from 2.5 lakh to 3 lakh rupees per annum as the minimum taxable income. Tax on Investments have a higher expectation from Union Budget 2018-19. The repayment of the principal of a loan taken to buy or construct a residential property is eligible for tax deductions under Section 80C. This deduction is also applicable on stamp duty, registration fees and transfer expenses. Tax payers can expect the exemption limit under Section 80C to be hiked by Rs. 1,00,000 to Rs. 2.5 lakh. Right now exemption under Section 80C of the Income Tax Act is Rs. 1.5 lakh. Expectations are very high as this will be the First Budget after the implementation of Goods and Services Tax (GST). Amendment is also expected in the GST laws to allow input tax credit to the customer provided he has made the payment of invoice along with tax to the supplier. At present, input tax credit is available only if the tax charged in respect of the supply has been actually paid to the Government by the supplier of goods and services. Expectations are also high from the Finance Minister to change the periodicity of filling of GST returns from monthly to quarterly for all the taxpayers though the payment of tax can be made monthly for taxpayers having a specified aggregate annual turnover. This will lead to simplified compliance mechanism and will boost the confidence of tax payers by reducing the much added compliance burden on the taxpayers. ‘Housing for all by 2022’ is one of the pet projects for the government and it wants to deliver 10 million houses under this program. Out of 10 million, 95% of the houses are to be constructed for Economically Weaker Sections (EWS) and Low Income Groups (LIG). As the affordability of this segment and the house value is low, the impact of slightest upward cost pressure is magnified and becomes a deal breaker. The current GST rate of 18% coupled with 1/3rd abatement for land is adding huge upwards pressure on the overall cost of house. There are expectations for lowering of the GST rates only for affordable housing projects to 12% with 50% abatement for land taking the effective GST rate to 6%. This shall provide a boost to the cause of housing for all by 2022. Stamp Duty Varies from 3-6% Constant 3% across all the states. Also reduction of stamp duty which presently ranges from 3 to 6 per cent, varying across different states, as a result of which the consumer pays an additional amount of approximately 18 per cent only in taxes to the government (including GST and stamp duty). The government should look at reducing this cost, rationalising and unifying stamp duty rates across the country. Under Section 24, you are empowered to claim up to Rs 200000 or the actual amount of repaid interest. However, you can only make the claim when you are in possession of the house. Under Section 80C, you can claim the principal up to the maximum limit of Rs 150000 across all the investments made under the section 80C. However, you might be needed to show the lender’s statement showing the not only the interest and principal components but also the repayment for the year. Expectations from Union Budget 2018-19 w.r.t Direct Taxes. In Finance Minister, Arun Jaitley’s budget speech on 1st February 2017 the finance minister stated that he proposes to present the budget under ten distinct themes and rural population was one of the said themes. 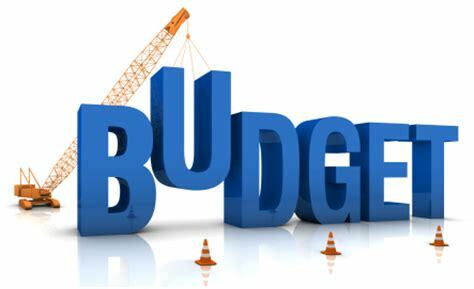 Experts believe that budget 2018 will be no different in fact the FM is expected to focus more on rural India and its economy with renewed vigor. Consecutive years of drought and then demonetization have had its impact on the rural economy too, but recent surge in tractor sales may indicate that the worse may be behind us. Tractor manufacturers sold a whopping 363,071 unit in the April – September 2017 period, a 21% increase compared to the same period last year. Over the last couple of years policies such as farm loan waiver and subsidies have become a norm but these sops do not reach the small farmers, may be fiscally unviable and even counterproductive. Experts believe that the FM in his budget 2018 should focus on providing relief to small farmers with very small or negligible land holdings. This can be done by taking steps to ensure agri-GDP growth and rural wage growth. The budget is a great opportunity to create a level playing field amongst individuals. The top agenda of the government would be to create a positive feeling for the future among the masses considering this year’s Lok Sabha elections as well as to boost the investor confidence. Lets hope for an investor friendly budget 2018-19. At present, there are no regulations governing virtual currencies like bitcoins in India. RBI, on December 24, 2013, issued a press release on virtual currencies like bitcoins, litecoins, bbqcoins, dogecoins stating that creation, trade and usage of virtual currencies as a medium for payment is not authorized by any central bank or monetary authority. Further, RBI has cautioned virtual currency traders and users to various security related risks such as hacking, malware attack etc. While RBI has not legalized bitcoins, it has declared them unauthorized as of now. RBI is currently examining the risks associated with the usage, holding and trading of virtual currencies under the extant legal and regulatory framework of India, including foreign exchange and payment systems laws and regulations. There is enough scope for legalizing bitcoins. One has to wait and watch as to which approach the Indian government takes. Keeping pace with the changing times, Indian government will have to come out with appropriate amendments in the foreign exchange and information technology laws to specifically include bitcons. What are the popular bitcoin websites that do transactions? HighKart.com became the first e-commerce site in India to exclusively accept bitcoins as a payment method. WERWIRED, a Bangalore-based geospatial, security and entertainment consulting company offered bitcoins as a mode of payment for its customers. Castle Bloom, a salon in Chandigarh, became the first physical outlet to start accepting the digital currency. Buysellbitco.in, an online portal dealt in buying and selling of bitcoins in India. But it was raided by the Enforcement Directorate. Some of the Indian Exchanges to Buy Bitcoins are PocketBits, Unocoin, Zebpay, Coinsecure. PocketBits is one of the Best Cryptocurrency Exchange to Buy & Sell Bitcoins or Altcoins in India. The value of the bitcoin varies in each website. Please do check with different traders and in different websites before buying it. Who are those trading in bitcoins in India? Tech-savvy young investors, real estate players and jewellers are among those invested in bitcoin and other virtual currencies. – Mining them (the process by which new Bitcoins are generated by solving the math problems quoted in the website). Is it worth investing in bitcoins? Today’s world is running towards digitalisation. So, it is not quite far for India to reach the so called Digital currency stage. Just that the Government has to make it regularised. Ofcourse, it is worth investing once the government regularises it. Is it safe investing in Bitcoins? The network is peer-to-peer and transactions take place between users directly through the use of cryptography, without an intermediary. These transactions are verified by network nodes and recorded in an immutable public distributed ledger called a blockchain. The Sharp rise in bitcoin exchange rate in recent years (from $1000 to $1300 for January-April 2017 and from $1300 to $1700 in the last two weeks) raises concerns that the rate may “collapse” and even to return to their former positions; however, bitcoin had and still have serious preconditions for growth, so it is not necessary to consider this growth as a “bubble”. What is the minimum amount needed to buy Bitcoins in India? You need not buy one Bitcoin to begin investing with. You can start with buying a part of the Bitcoin. The minimum amount needed to begin investing in Bitcoins is around Rs.500. How is investing in Bitcoins advantageous for me? Bitcoin shows stable annual scale, growth rates, and there is reason to believe that this trend will continue. The graph below shows that the exchange rate of bitcoin over the last 12 months has increased about 4 times from 450 to $ 1,700. Bitcoins have a number of benefits. It significantly reduces transaction costs, enables the growth, ease and security of e-commerce and physical transactions, etc. What are the disadvantages of bitcoins? – When goods are bought using Bitcoins, and the seller doesn’t send the promised goods, nothing can be done to reverse the transaction. This problem can be solved using a third party escrow service like ClearCoin, but then, escrow services would assume the role of banks, which would cause Bitcoins to be similar to a more traditional currency. – Risk of Unknown Technical Flaws : The Bitcoin system could contain unexploited flaws. As this is a fairly new system, if Bitcoins were adopted widely, and a flaw was found, it could give tremendous wealth to the exploiter at the expense of destroying the Bitcoin economy. Do be aware that most of them are out there to scam you. If you do decide to invest, make sure it’s going to a legit company that pays you back. What are the legal procedures to buy Bitcoins in India? Submit your PAN card and a valid address proof and a bank account. Make sure that the PAN and bank account belongs to the same person. The verification process takes about 2-3 working days. After this, you are good to go. Do we get loans to invest in Bitcoins? It depends on the risk potential. Say if you can afford some EMI for loans then you should go for it . Investment is always Good.. And as you can see the bitcoins is going popular as compared to share market or any other investment plans in INDIA. so, it is important for the money to be invested to increase your returns. Find out some interest bearing funds when you invest in bitcoins. For example, BitBays is an exchange website which pays a small promotional interest rate on all balances held on their site. So, calculate your interest to be paid on your loan and the interest gained in bitcoin investments and the final returns expected once you sell the bitcoins. Only if you are sure of gains, you can go for the loan. 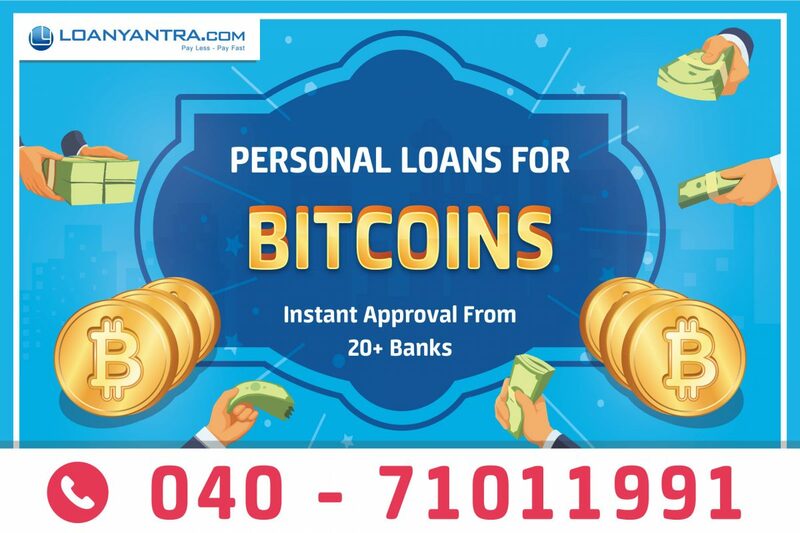 What is the procedure to get loan for bitcoins? The loan can be taken as personal loan as the reason for the personal loan need not be mentioned. The procedure can be followed just as you follow for the personal loan. What you should know before investing in bitcoins? Since use of bitcoin involves high level of risks, unless ambiguity surrounding bitcoins is resolved its use cannot be foolproof. Research before investing in Bitcoins. There are many websites and it is recommended to find the correct and trustworthy one. How is the tax calculated when you trade in bitcoins? The tax aspect of bitcoins is also a grey area, in order to comply with the income tax regulations, a person accepting bitcoins against services should pay income tax after converting bitcoins into rupees and the bitcoin sellers who earn profit can pay capital gains tax (if selling after a long duration). Such steps will legitimize the unregulated bitcoins transactions. There are actually 3 ways in which you earn bitcoin & the taxation differs from one to another. The income tax authorities may choose to tax the gains from bitcoins under the head “Income from other sources”. Further, if the income gets taxed under “Income from other sources”, the taxpayer would have to pay taxes at a rate as applicable to the tax slab he falls under. For eg, if his taxable income exceeds Rs 10 lakh, he would be liable to a tax @ 30% as against the flat rate of tax of 20% he would be liable to pay, if charged to tax under long-term capital gains. The benefit of indexation as would be available if taxed under capital gains , would also not be available if taxed under Income from other sources. India has sent tax notices to tens of thousands of people dealing in cryptocurrency after a nationwide survey showed more than $3.5 billion worth of transactions have been conducted over a 17-month period. So, it is also important to know the taxation rules and also to pay the tax when needed. In summation, bitcoins are digital cash and decentralized, peer-to-peer payment system. Being volatile in nature, care has to be taken that a mechanism is devised to tackle risks associated with fraud and money laundering. Regulators will have to take steps to provide individuals and businesses with rules to integrate this new technology with the formal regulated financial systems. Understand hybrid home loans in detail! Hybrid loan, according to RBI, is a two step mortgage. It is an ARM (Adjustable Rate Mortgage) that has one rate for part of the mortgage and a different rate for the remaining part of the mortgage. The interest rate changes in accordance with the market rates. 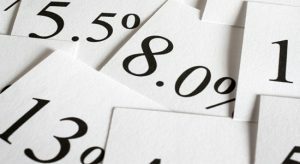 The borrower, on the other hand, may have the option of making a choice between a variable rate or a fixed rate on the adjustment or agreement date. 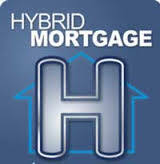 Hybrid loan products are popular options that package the advantages of both floating and fixed rate products. Hybrid loans are popularly referred to as ‘partly fixed partly floating l oans’ . This mixed option lends flexibility and greater choice to the home buyer. A part of the home loan is anchored under fixed rate and the rest is exposed to the prevailing floating rate of interest. This enables the borrowers to minimize the impact of adverse rate movements and benefit in times of favorable changes. There are two options you can opt for after the fixed rate period of your loan is over. One is either you opt for a lower percent of your loan amount as floating and higher percent of the loan amount as fixed and vice versa, or the other option is you take a 50:50 for both the rates. Example for both the types is given below. A homebuyer decides to take a loan for Rs 80 lakhs. If he feels that the rates are likely to move upwards in the coming months, he can lock 60 percent at a fixed rate. The remaining 40 percent is exposed to floating rate fluctuations. In case the interest rate goes upwards, the part of the loan locked under fixed rate remains unchanged. However, in the event the rate drops, the borrower will benefit only on the 40 percent of the loan that is under the floating component. Some borrowers may decide to lock their loan at 50:50 under fixed and floating . This is the safest bet for homebuyers who cannot predict the future direction of rate movements. So the Rs 80 lakh loan is actually treated as two loans of Rs 40 lakhs – one at a fixed rate and another at the prevailing floating rate of interest. So, your bank might ask you to sign two separate loan agreements-one for fixed rate of interest and the other for floating rate of interest. However, many banks may combine the same and use a single agreement for both the components. You must read the terms and conditions of your agreements with utmost care and your relationship manager is bound to explain to you, if you do not understand them. When should you foreclose or convert from one component to other? Under Hybrid loans, many banks offer you the option of foreclosing the floating component if the interest rates move up, with or without any pre-payment fees. And if the interest rates move down, may foreclose the fixed part, with or without pre-payment penalty, as per banks policies. Other banks offer you facilities such as converting your fixed portion to floating if the interest rates move down and converting the floating rates into fixed, if interest rates move up. Of course you will be charged a certain amount of fees for doing so, which can more often than not, be negotiated. Some examples of hybrid loans include State Bank of India’s offer of SBI-Flexi Home Loans, HDFC’s 2-in-1 Home, Part Fixed,-Part Floating loan by ICICI and Bank of Baroda’s Flexi-home loans. Though RBI discouraged the hybrid home loans for a period of time, now they are back again after a break of two years. Hybrid loan is recommended to those who are not ready to accept the frequent fluctuations in the EMI or for those who have to get used to the home loan for a period of time.A hybrid loan bails a borrower out of the dilemma of choosing between a pure fixed and a floating product. Author keerthiPosted on January 25, 2018 January 25, 2018 Categories Home LoanTags Hybrid Home loanLeave a comment on Understand hybrid home loans in detail! After 1 year of the demonetisation, the real estate prices remain the same, constant as they were in the past two years. But with the RERA getting diluted amidst the states, the builders could regain the lost effect on real estate prices. Those who buy property as an investment—as different from those who buy to live in it—usually expect a twin benefit: a steady rental income and a rise in value. The ratio of the rental income to the price of the property is the rental yield. The other expenses include property tax, maintenance cost, no rental period. In a broader sense, it is calculated w.r.t gross rental yield, as the property expenses vary from place to place. Earlier were the days when there was the steep rise in property prices and the rental income couldn’t match up with the price. Relatively it is better now in urban areas when compared with rural India. Slowly, the Indian market took the uptrend w.r.t the rent making the rental yield a fruitful one for the real estate investors. If you want to invest in a property, you always look at the location and the appreciation of the property over a longer period or even a shorter period. It is worth investing in a property whose rental yield is high as you can be relaxed about your source of income. For example, if you had taken a house ten years back which costed Rs.35lakhs. Now you want to give it for rent. So, in that case you calculate the present price of the property rather than the actual price you had bought for. Which means, it might cost around Rs. 70 lakhs over the ten years now. So, you consider the present price of the property and calculate the rental yield. Why haven’t rentals kept pace when there was a steep price? 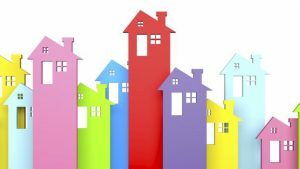 It’s not as if there has been a drop in the demand for rented accommodation. Only that property prices have risen too high too fast, and to a lesser extent so has the supply of new houses. In some overheated pockets, such as Gurgaon and Noida near Delhi, the rental yield is down to 2-3%. A luxury condominium costing Rs 1 crore fetches a rent of Rs 20,000-25,000 a month. An independent house priced at Rs 2 crore will bring in Rs 30,000-40,000. The situation was no different in other cities where a large supply of residential housing had just entered the market or was nearing completion. Rental values have risen marginally. In the stock markets, the dividend yield of a share falls as its price rises. A low dividend yield signals that the share is overvalued. More than the dividend yield, it is the PE (or price to earnings ratio) of a stock that is more widely used to determine a share’s value. Divide the earnings per share (EPS) with the current price of a share to arrive at the PE of a stock. Usually, a high PE means the share is overpriced; a low PE means it is cheap. To some extent. When the stock markets are at an all-time high, the average weighted PE of the 50 shares on the Nifty index is less than 21. It seems unlikely that rentals would move up in a hurry. A massive stock of houses is under construction in almost every city. Some 245 million sq ft of residential space was ready in just the six metros. A good percentage of these houses were available for rent. Areas within a city where there is no fresh supply of housing— fully developed areas or those in the central part of cities—continue to see higher rentals. Similarly, there are areas where the location advantage overrides other factors. For instance, an infrastructure improvement (a new bridge, road or train station) can make an area more attractive to those seeking a house on rent. Barring these exceptions, if you plan to buy a house for investment and hope for a monthly flow of income in the form of rent, you are better off checking other investment opportunities.